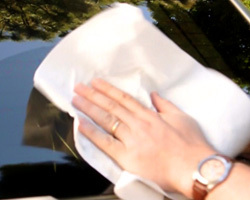 Clean the area thoroughly with rubbing alcohol or soap and water. 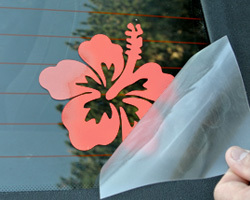 Do not use a glass cleaner because it will leave a residue behind that will prevent the sticker from adhering well. 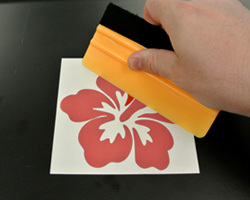 Rub a credit card firmly across the sticker through the clear transfer tape to prepare it for application. 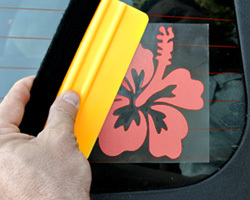 This ensures the sticker will cling to the transfer tape and removes any air bubbles that may have formed.